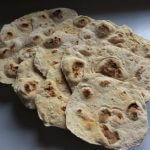 Every country and culture around the world have their own variation on a flatbread. 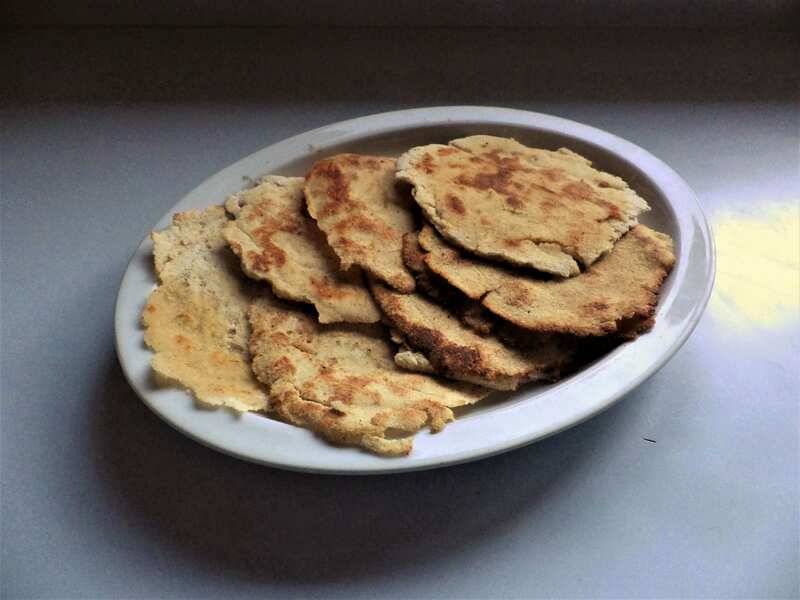 In Central America and the American Southwest, the Tortilla emerged as native peoples used the most prevalent grain crop: corn. 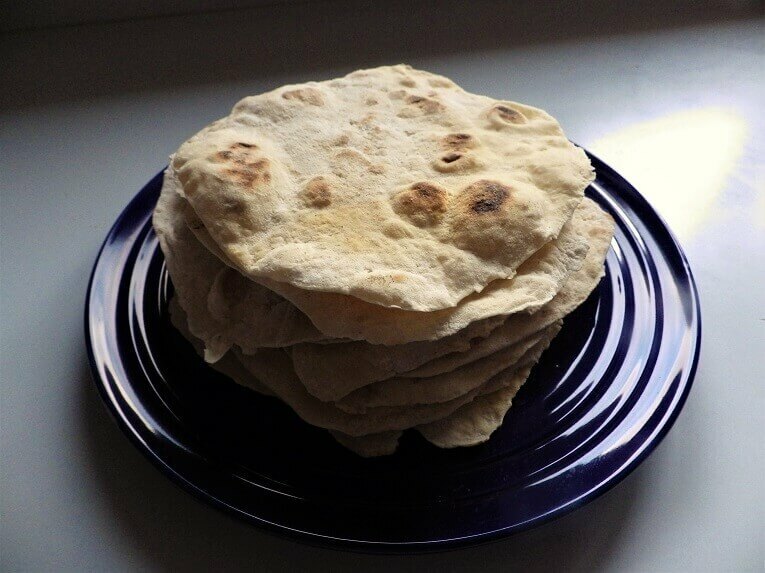 The first corn tortillas used the most basic recipe for a bread which is water and corn flour. It worked then and that’s the same recipe used to this day. 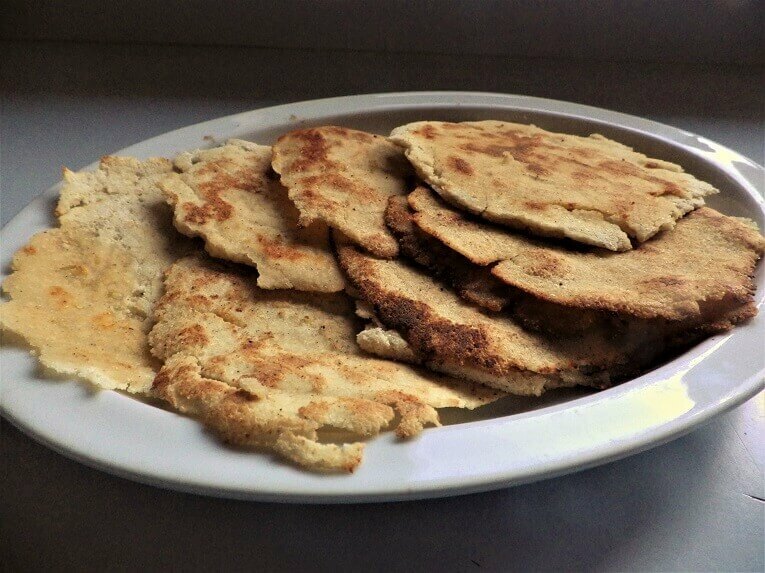 Another variation that emerged as wheat became domesticated was the flour tortilla. 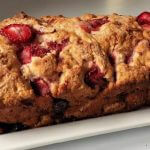 This recipe obviously featured white flour as a primary ingredient along with some contemporary additions like baking soda and salt. 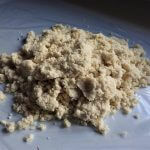 A key ingredient that we don’t often use in recipes is lard. 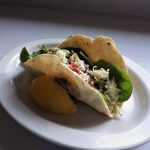 You can purchase a small can fr lard at the grocery store or make your own by rendering the fat from pork. A whole or half ham is a good place to start. You could also substitute shortening. 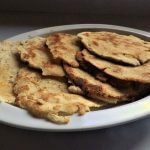 Both corn tortilla and flour tortilla doughs are easy to make in your bread machine using either a cookie dough setting or pasta dough setting. 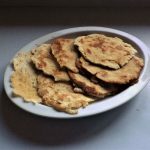 You don’t need to use the basic dough setting because that has a rising cycle and tortillas are made without yeast so rising is unnecessary. 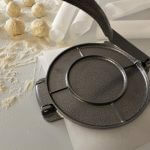 If a basic dough setting is all you have on your machine, you can use that setting but remove the dough after the kneading cycle and before the rising cycle begins. 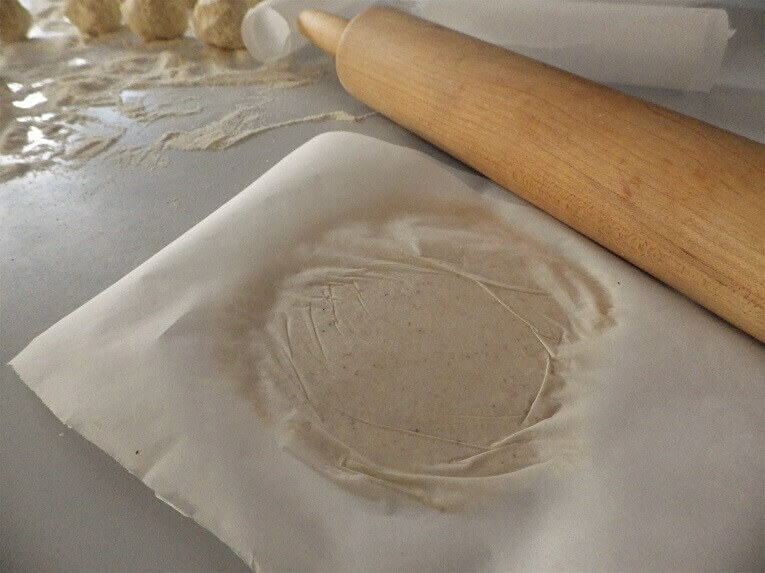 The tortilla dough is pressed flat either with a tortilla press or rolled out with a rolling pin. You can also flatten them with your hands. 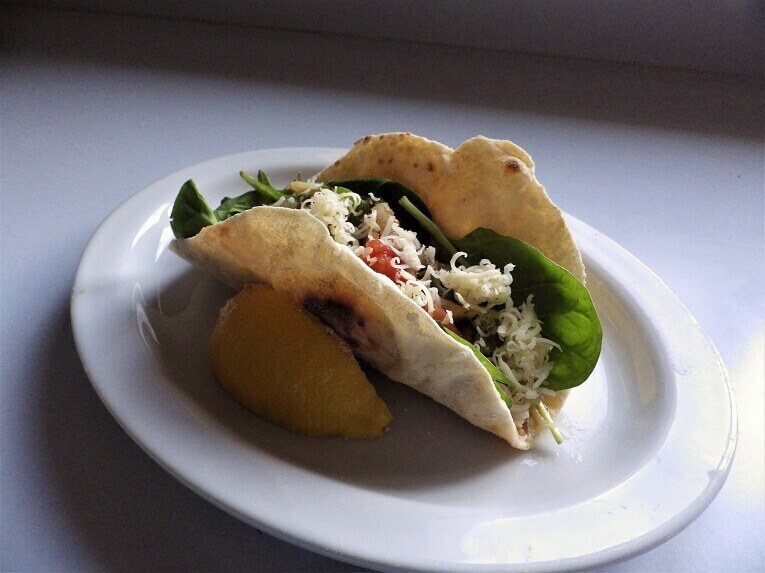 The size of the tortilla is up to you. Ideally, they’re cooked over a stove on a cast iron skillet, but you can use a stainless-steel frying pan if that’s all you have. 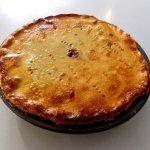 They’re usually cooked one at a time and the cooking time is a minute to a couple of minutes per side. 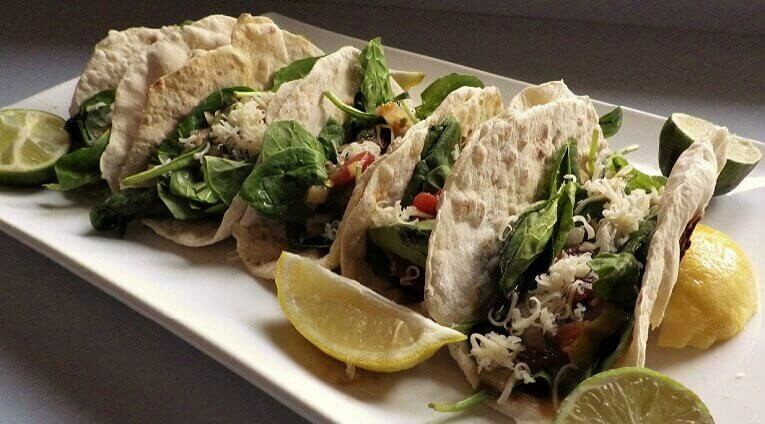 Traditionally, tortillas are topped with a filling that varies widely although tacos continue to be the most popular. 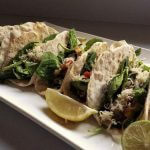 Both recipes produce a soft tortilla that can be folded over into a traditional taco/pocket shape. Pour the dough out onto a sheet of plastic wrap. 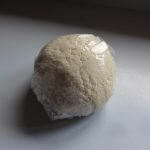 Roll it into a ball and wrap it tightly with the plastic wrap. Let the dough ball sit on the counter for 30 minutes. 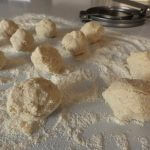 Divide the dough ball into chunks and form into a ball about the size of a golf ball. 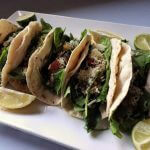 Place a sheet of wax paper or parchment paper on the tortilla press and press flat. 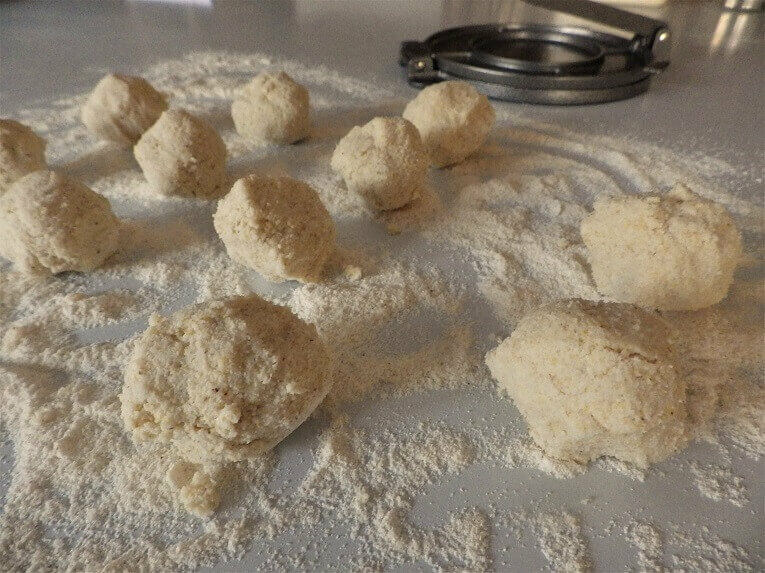 Repeat with the other dough balls. 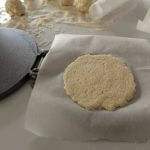 If you don’t have a tortilla press, use a rolling pin to roll the dough ball into a circle on a lightly floured surface. Heat a cast iron skillet over medium-high heat until hot. 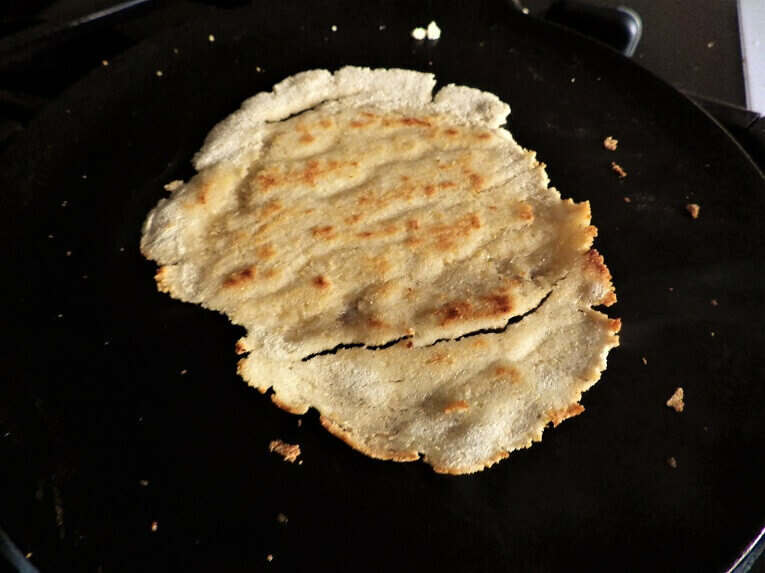 Toss a tortilla on the pan and check the underside after a minute or less. 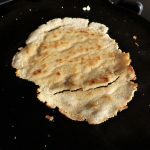 Flip when one side is browned. You can repeatedly flip until it has the color and texture you want. 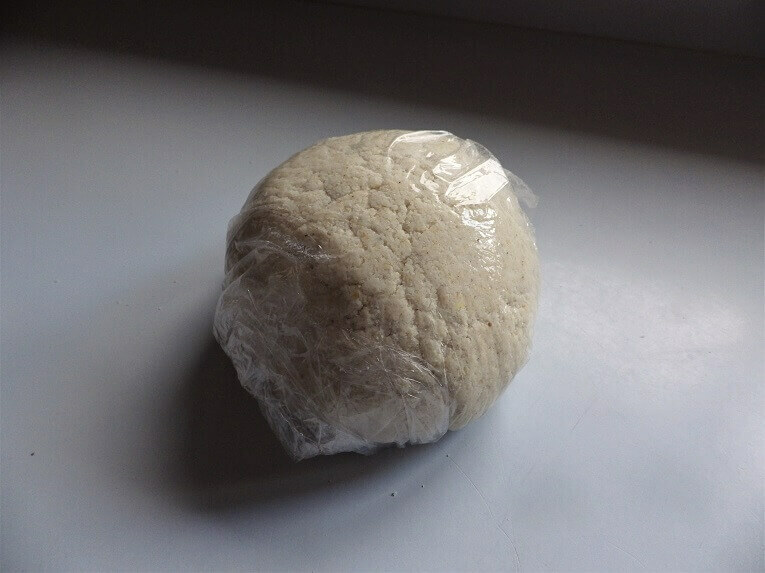 Removed to a plate and cover with a cloth to keep moist until ready to serve. 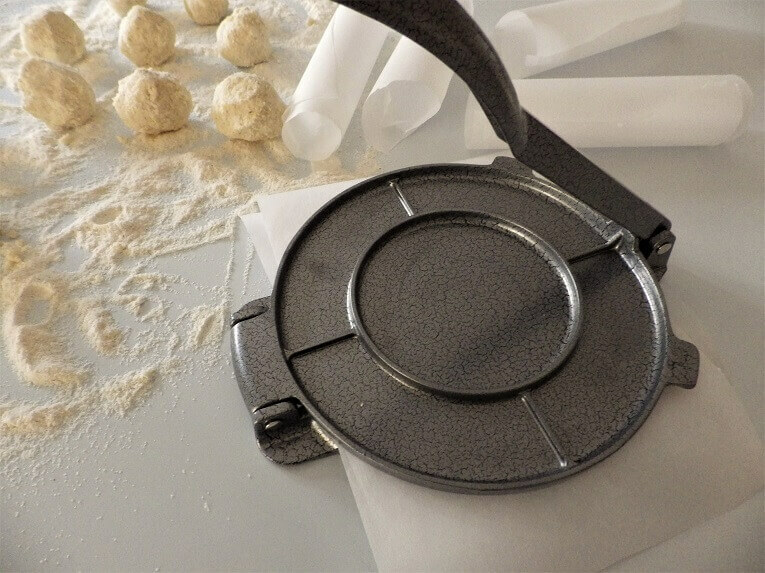 Add the flour, salt and baking powder to the bread pan and begin with either the cookie dough setting or the pasta dough setting. 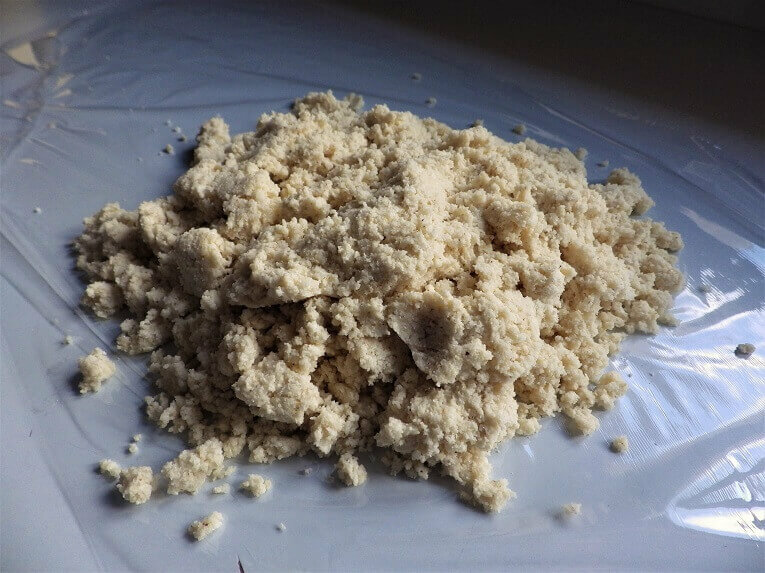 After the dry ingredients are blended slowly drop small chunks of the lard (or shortening) into the bread pan during the kneading cycle until the mix forms large crumbs. Slowly drizzle the water into the bread pan as the kneading continues until the dough comes together. 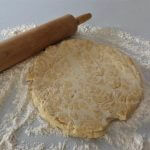 (If the dough appears too dry, add a little water. 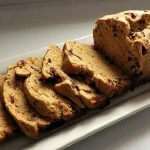 If the dough appears too wet, add a little more flour. You want a dough ball that’s not sticky but doesn’t crumble). 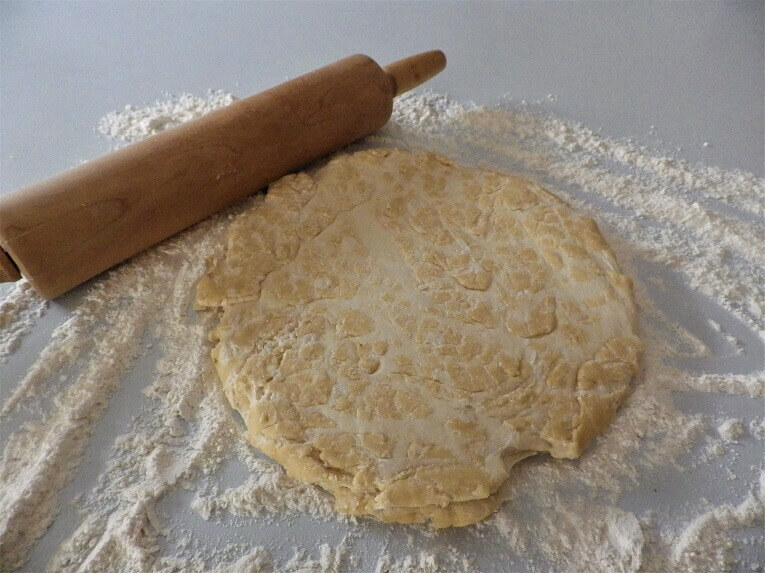 Place the dough in a bowl covered with a cloth for one hour. 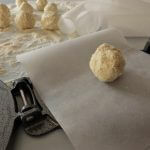 Place the dough ball on a lightly floured countertop. 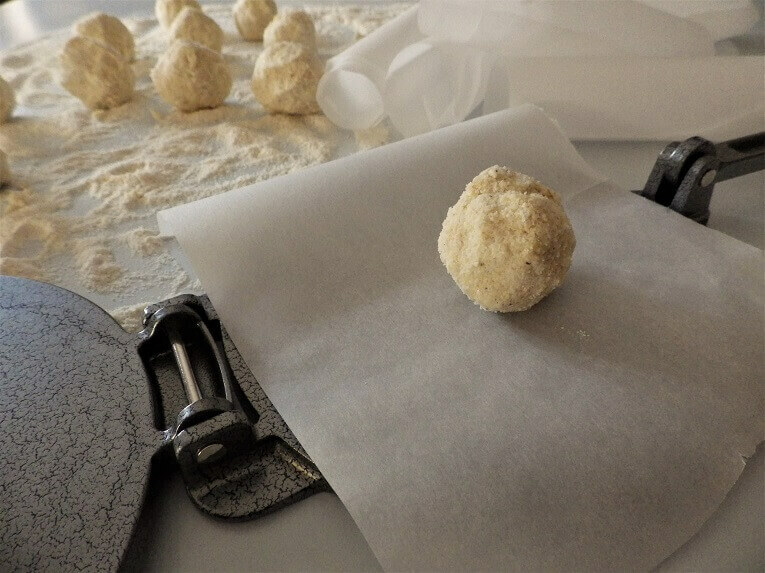 Divide the dough into 24 pieces and roll into balls. 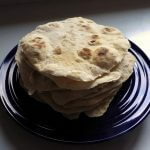 You can form into larger pieces if you want a bigger tortilla. Heat a cast iron skillet over medium heat until hot. 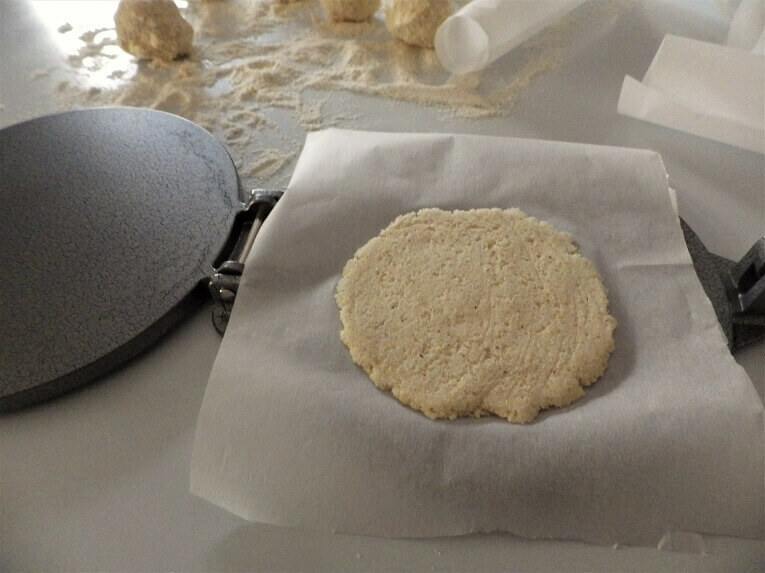 Place a sheet of wax paper or parchment paper on the tortilla press and place a dough ball on top. 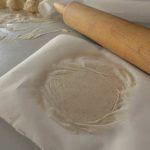 Cover with another sheet of wax paper or parchment paper and press flat. 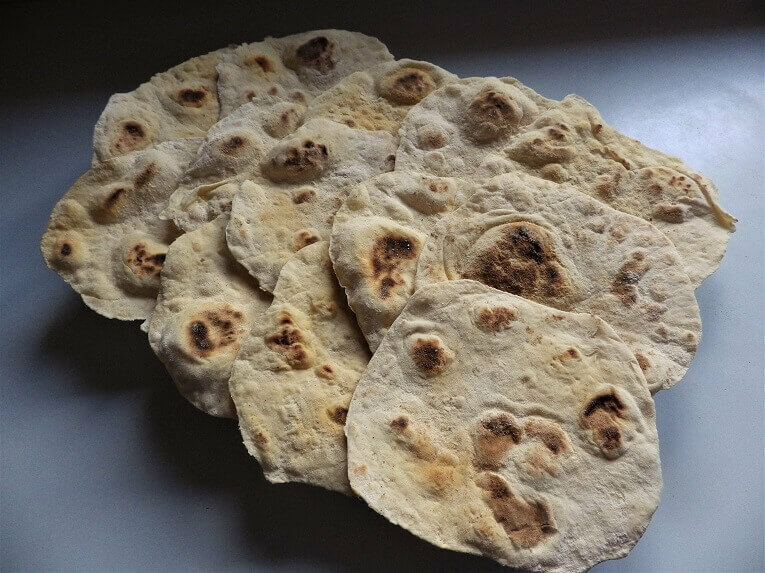 You could also use a rolling pin to roll out the dough balls on a lightly floured surface if you don’t have a tortilla press. 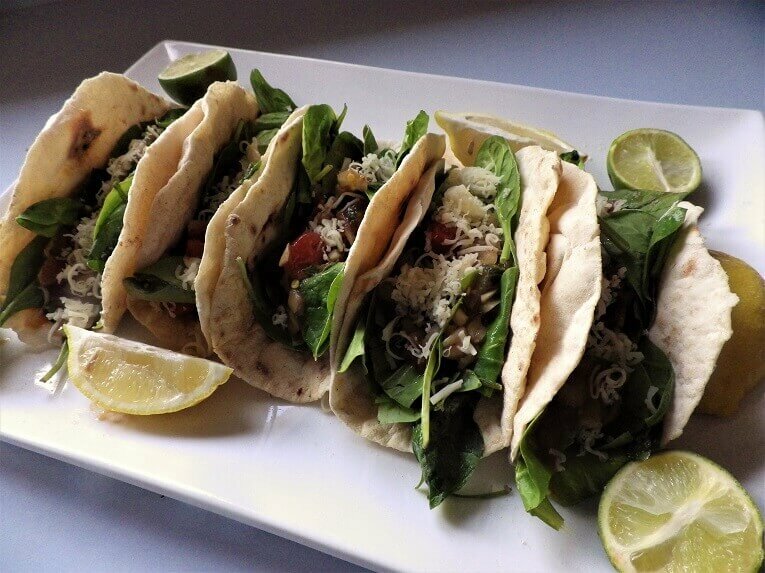 Drop the tortilla onto the skillet. It will slightly bubble. Flip after the bubbles first form (about a minute) and continue to cook until both sides have hits of golden brown. 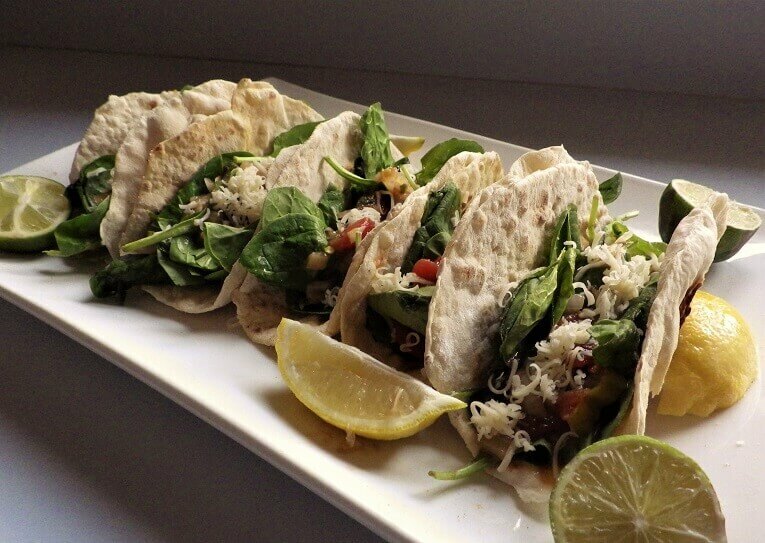 Place into a tortilla warmer or on a plate covered with a cloth until ready to serve.